Far to late, but last week I found out Nicky Romero played my mashup of Steve Angello Wyman Dimitri Vangelis – Payback Reload on Sensation 2014 in Amsterdam and on Electric Love Festival in Austria. If you didn’t download it yet. 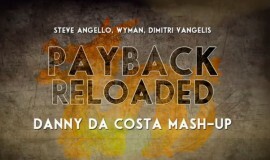 Payback Reload is still available for download from my Facebook page. Click Here!